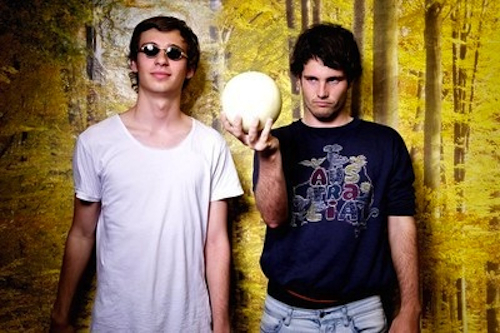 I sense strong vision and loads of fresh energy coming from this Australian duo. 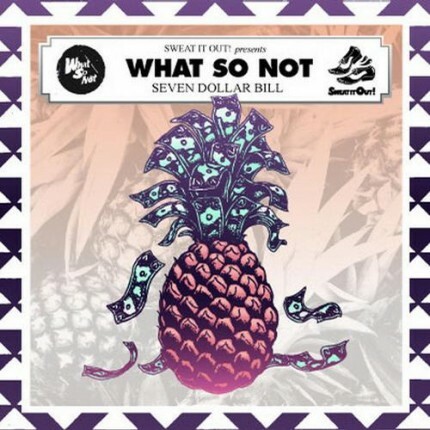 I talk with What So Not about the music community in their area, the idea behind the “Get Free” remix, their brilliant 7 Dollar Bill EP, out on Sweat It Out! and such and such. DD Whatsup? How’s it down in Sydney? WSN Yo dude! Sydney’s been awesome. Weathers great. Both Harley & myself bodyboard and the surf has been killer lately. Pretty much in the water unless we’re writing tunes. DD I have some buddies down there in your area; James Arctic, Mirror State and Benson. It sounds like there’s some fresh diversity coming out of Australia, would you agree? WSN Ah sweet, yeah I know Benson as well, good bloke! Yeah I’m loving so many Australian artists at the moment. Everything got a bit mainstream here for a while, but true vision & talent is starting to push through. Ta-Ku, Hermitude, Harley’s solo project Flume. At the other spectrum, bands like ‘Last Dinosaurs’, Parachute Youth & dance producers like ‘Peking Duk’ & Benson, all killin it! DD I’m forgetting which artist led me to your remix of Major Lazer’s “Get Free”, it was posted on their twitter a little while ago. WSN I know Nero did a tweet bout it? DD Ah! Shame on me for forgetting it was Nero. At 54k plays on Soundcloud, it’s getting a lot of love and for good reason. Of the remixes I’ve heard of this track, I feel yours stands at the top. Did you guys know straight away what you wanted to do with the original? That drop is very unexpected..
WSN Yeah the response has been crazy. Our good friend Nina Las Vegas (DJ & Triple J Radio host) sent it of to the Mad Decent team & they loved it. I think they must have forwarded it to their crew, cause all these big names started posting bout it & playing it. We started an original that day, which is pretty much the percussion you hear in the track. Hitting a creative wall, we thought maybe work on a bootleg instead. Dropped ‘Get Free’ over the top of the drums & it fit really well. I left it with harley that arvo & he came up with the most insane left field baseline for the drop. Kid is a genius. DD Your “7 Dollar Bill” EP is crisp, clean and well balanced. It’s very dancey, with a nice amount of space between the various sounds. You two seem very in tune with your emotions after hearing “Love Theme”. I sense a lot of warmth in your productions overall. You use sounds that I hear in dance music currently, but there’s something special about the way you combine it all. Is an emotional element for What So Not a conscious direction? WSN Harley has a very good grasp on chords, melodies & vocal bending, which often stimulates a lot of emotion in the tracks. I don’t know if it conscious, but both of us are very passionate about music. The most important thing for us is exposing ourselves to a wide variety of sounds, drawing inspiration & pulling it all together. DD This “Mega Mini Boombah Mix” boasts 50 tracks in ten minutes, pretty mad! With so many songs included, it doesn’t sound at all crammed. You definetely have a gift for clarity when working with a lot of sounds. Is this something you’ve been practicing a lot to deliver? WSN Ah thanks! I think a lot of that came from my years making complex mixtapes, bootlegs & mashups; layering various hooks, vocals stabs, beats, synth riffs & buildups to form a high density stand alone track for club sets. DD What are your plans for summer and the rest of 2012? DD Last words? Hope to have you back on Disco Droppings soon! WSN Thanks to everyone thats been discovering & enjoying our music! & thanks to all the blogs that are supporting us! (including Disco Droppings of course)!